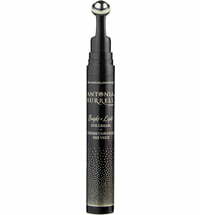 Antonia Burrell stands for clean, free from synthetics and luxury natural cosmetics that improves the skin's appearance in a simple way. 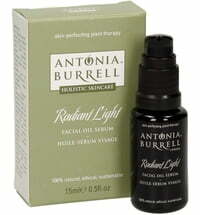 Antonia Burrell offers an holistic approach to skincare that soothes the mind. For maximum well-being! 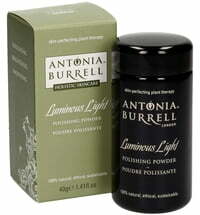 Antonia Burrell is one of the UK's leading skincare experts, having been part of the beauty industry for two decades. For more than 18 years and together with a team of experts the Antonia Burrell skincare line of products was developed to help those suffering from highly sensitive or problematic skin - using 100% natural ingredients. The holistic care aspect of this brand converts the monotonous daily skincare routine into a pampering wellness experience! The aroma therapeutic effects of fruity and floral fragrances immediately moisturize and nourish the skin. 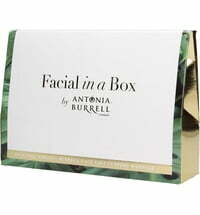 Antonia Burrell Skincare products are produced in the UK. Antonia Burrell products are not tested on animals. Moreover Antonia Burrell Holistic Skincare supports organic farmers worldwide.